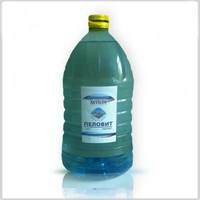 Treatment of Joint Arthrosis Psoriasis Eczema Colds Pels Classic low price buy store of traditional medicine. Rhinitis in children adults prevention treatment at home. Pels contains in its structure all the rich set of macro-and micronutrients, nutrients of organic origin, hydrogen sulphide and other chemical constituents of medicinal mud. Pels Classic properties. Pels has potent anti-inflammatory, absorbing, desensitizing, bio-stimulating effects. Stimulates wound healing, cellular and humoral immunity, increases the overall resistance of the organism. 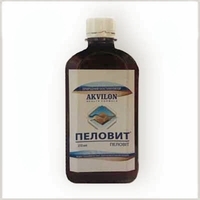 When used in the form of baths - Relieves stress, normalizes sleep, physical and mental, nervous and mental activity, creates a sense of vitality, improves mood, eliminates depression dramatically increases efficiency, sexual activity. The mechanism of action Pels on the human body. It was found that the complex physical and chemical composition Pels raises complex mechanisms of its effects on individual cells, tissues and organs of a living organism. These scientific data and the results of his own observations allow to distinguish several different mechanisms of action of this natural product. Pels stimulates the neuro-humoral regulation of the body through the activation of pituitary-adrenal system. Through exposure to heat activates the genetic apparatus of the cell nuclei. This leads to increased synthesis of so-called shock proteins (hiat shoe protein), which are classified as skleroproteinov rich in proline and hydroxyproline, stabilizing cellular structures, increasing the strength of the membrane structures of cells to the effects of a variety of adverse factors external and internal environment, such as exposure high and low temperatures, bacteria, viruses, toxins, radiation effects. Pels stimulates mitotic activity of endocrine cells, blood cells, the surface epithelium, thereby accelerates the process of tissue regeneration. Acting elevated concentrations of salts of sodium and potassium to the cell permeability, Pels accelerates cellular ion permeability processes. Acting on the acupuncture points of the skin, stimulates the generation, implementation and transformation of bioenergy cells and organs, normal energy circulation in the body through energy channels known. We assume, in addition, Pels normalizing effect on the accumulation and circulation of more subtle energies of the etheric, astral and mental levels. Due to the content in pels of low molecular weight multifunctional organic-compounds humic acid, the drug acts as a powerful bio-stimulator, already at minimum or even a negligible contact of these compounds into the body through an open first postperspiratsionnogo mechanism through the sweat glands of the skin by the type of functioning "pump". Stimulating Pels properties can also be explained due to the special form of crystalline water that comes in the mud concentrate from deep faults in the earth's crust, echoing the profile of the bottom of the Black Sea estuaries. Such crystalline forms of water estuaries can be about 34 species and more, and they can have a bio-stimulating effect on the living organism. Despite the wealth of information already available on the composition of Therapeutic muds and extracts, we are still far from finding a true representation of the true mechanism of action, both of the curative mud, and therapeutic agents based on them. These laboratory studies as well as their own clinical observations and recent advances microelementology allowed us to offer a new two-stage mechanism of therapeutic action of Pels. Outlined below our potential mechanisms of action Pels rather reflect generally accepted quite descriptive in the general scientific literature and proposed mechanisms balneological effects of therapeutic muds in general, as well as other mechanisms for remedial action and other resort factors on the human body. These common mechanisms and reasons for a long time are general in nature and are not sufficient for understanding. With regard to the use of Pels for spa treatments we can say with great confidence that the first stage of the application of warm (about + 39-42 ° C) lotion Pels the skin or mucous membranes occurs in fact anti-inflammatory effect. This opens the sphincter of the sweat glands of the skin and the contents Pels solution penetrates into the inflamed tissue, which immediately restored under the influence of the whole complex of microelements, normalizes biochemical enzymatic metabolism in the cells of the inflamed organ or tissue, as well as the necessary energy processes, which are reduced to the accumulation and expenditure on the metabolic needs macroergs adenosine triphosphate. All the metabolic functions in the edematous inflamed tissue are oppressed under the influence of slow speed mikrokapilyarnogo blood flow and increased oxygen consumption. After the delivery of micronutrient metabolism is restored in the damaged organ, increased blood flow, oxygen delivery and create optimal conditions for the excretion of toxic products of metabolism and reduce edema in the hearth that damage It carried out a complex anti-inflammatory effect that we observe soon after application of warm lotion with Pels or other physical therapy treatments. For example, when athlete, within 4-6 hours after applying lotion to Pels on inflamed edematous part of the foot and lower leg edema is sharply reduced, cyanosis and tissues, after removing lotions, immediately observed that epithelialization restoring damaged pathological inflammation of the skin that occurs from healthy skin. During the next 2-3 procedures the observed processes of regeneration of damaged tissues are enhanced and the skin / body / restored. The first stage - the anti-inflammatory effect, which is based on the activation of metabolic and energy processes, leading to a reduction and the total elimination of the inflammatory edema in the focus of damage, recovery of blood flow and oxygen supply restoration. The second stage - biostimulation restorative effects Pelovita, which is based on the restoration of the original structure of the damaged tissue or organ. These steps are dynamic, continually moving into one another or take place simultaneously, which leads to organ integrity and restore its normal functioning. The mechanism of action balneologic Pels procedure is simple, efficient and fleeting in time and can be explained in this way. Thus for recovery equally important in both stages. As from the second stage depends on the speed of recovery of organ or tissue function, we give preference to this point, because it is using the spa procedures recovery occurs quickly. And develops a convincing picture of biostimulating effective therapy when applied mud treatments or drugs and its values. In other words - there is a fast treatment results when compared with other means of local therapy. This mechanism of therapy is concrete, easily observed and it is based on a simple procedure with a local solution Pels. We briefly formulate mechanism of Pels action, which is the combined sequential, anti-inflammatory, anti-edema effect of microelement unique natural composition of the drug, followed by bio-stimulating effect of natural biostimulators Pels in reducing inflammation of the structure of the damaged organ or tissue with a full and rapid recovery of function.